The landscape of the most southerly part of the Netherlands is not what you would expect from a country where contour lines are collectors’ items. Limburg is a spur; in its northern part, it grips the rest of the country like a rock climber navigating a tricky overhang. South from there, flowing with the river Maas it nips in like a squeezed balloon; tightly constrained between Belgium to the west and Germany, east – it can be no more than 10 miles at its narrowest point before erupting out in a final burst of Dutchiness. It is a beautiful part of the world; unexpected, rolling, hilly, with beautiful villages and towns, lime-lined lanes and the unsurprisingly cosmopolitan city of Maastricht sitting astride the river. In many respects Limburg feels British: verdantly green fields, half timbered houses, short, sharp hills, hedges, twisting, snaking lanes where you can easily get lost. Yet it is most definitely and perhaps defiantly Dutch: those narrow strings of brick, a greater sense of order and productivity – more neatly clipped than an English shire. It was here I really discovered wit beer. For many years I have had a taste and interest in wheat beers, but very much in the Bavarian style, where the clovey, bananary chewiness and billowing, puthering head is imparted from the grist and yeast alone. The serve too is decidedly German; elegantly tall glasses yet with a teutonic robustness. ‘Belgian style’ wit beer, if that isn’t too blunt and broad a term, is something else entirely. There’s a playfulness about these beers, a fusion of rustic, agricultural roots from the ‘base’ beer, with the inventiveness that came from adding new world spices – and by new world, we’re talking Indonesia, the Spice Islands – far away; wherever the European merchants were trading. These were the original funky beers. 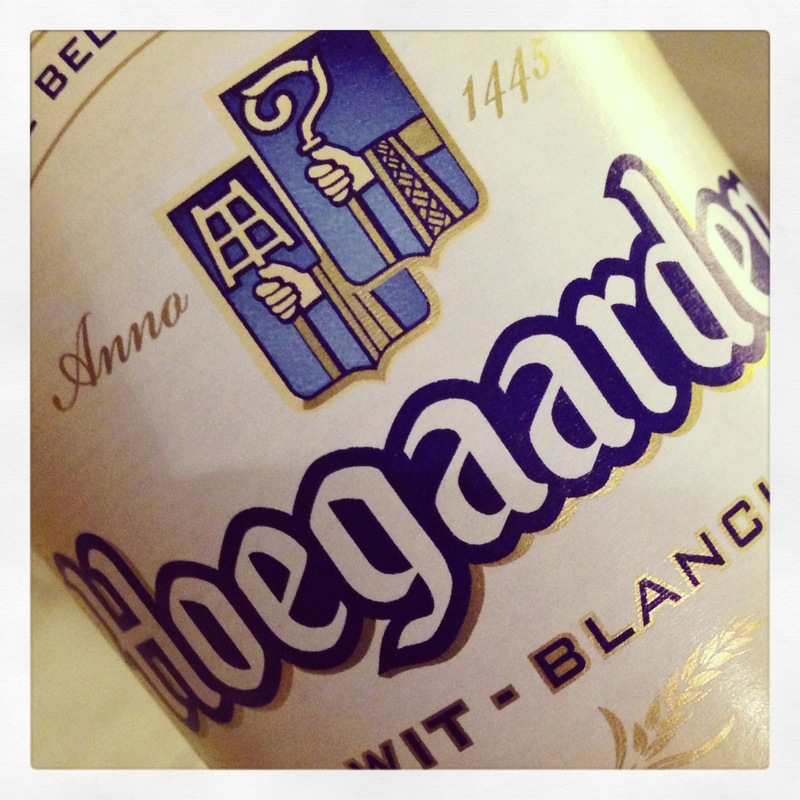 Most know this beer style through a Belgian beer – rather, through the Belgian beer in the style, Hoegaarden. But I got familiar through a hardly-known Limburg wit beer from a small producer in Gulpen, east of Maastricht. The whys and wherefores aren’t important here, but I was there on business and was taken aback by a lovely, traditional set up. The brewery, Gulpener, named from the village it is situated in, is barely more than a series of farmhouses stretched either side of the road. The offices are in the old family home. The brewery tap is a restaurant on the town square. That same road into Gulpen, the one you take as you head east out of Maastricht is an undulating affair. Butting it up to it are fields of barley and wheat earmarked for the brewery, carrying signs signifying the fact as you approach. The main beer is a fruity pilsner, very much in the east Dutch style – grassy, assertive, rewarding yet drinkable. Yet the wit beer – or waere witte in local dialect – is an altogether more quirky affair. Named after a local ground-dwelling hamster, that likes to nibble on local crops and which was, until recently, endangered, Gulpener Korenwolf is a lovely introduction to the style; with a luminescent hazy yellow glow, a bright white head and a pronounced banana ester aroma. Yet the taste is more surprising with a grist bill that contains not just the expected wheat but also some rye and spelt – both more primitive, simple grains that lend a nuttiness in the finished beer. The addition of elderflower too gives a wafty floral essence to the smell and taste. For a while, we sold a decent amount in the UK before my company at the time tired of selling profitable but small brands. And probably, ones with hamsters on the label. Shame that you can’t find it over here now. But there are plenty of other lovely wit beers. It’s trite to say they make a lovely summer drink – true though it is – but actually there’s so much variation in the style that restricting them to easy generalisations and singular occasions is missing the point. Hoegaarden is the benchmark of the style and some bemoan that it has lost some of its character since ABInbev closed the original brewery and started brewing in their Leuven plant. Yet, this is still a great beer, at a drinkable strength (4.9% ABV) and with loads of interest too. To the eye it has that characteristic wit beer haziness, a browney-lemon colour with visible yeast. The copious white head is characteristic and inviting, but for me, it’s the aroma that draws you in: light cloves, a coriandery-allspice and a mild dash of lemon peel. It’s a ‘drink me’ smell, no doubt. And it’s beautifully presented – in possibly one of the most appealing beer bottles there is and that intriguing ‘Hoegaarden’ script. A lovely beer; a classic beer. And where the classics tread others follow. 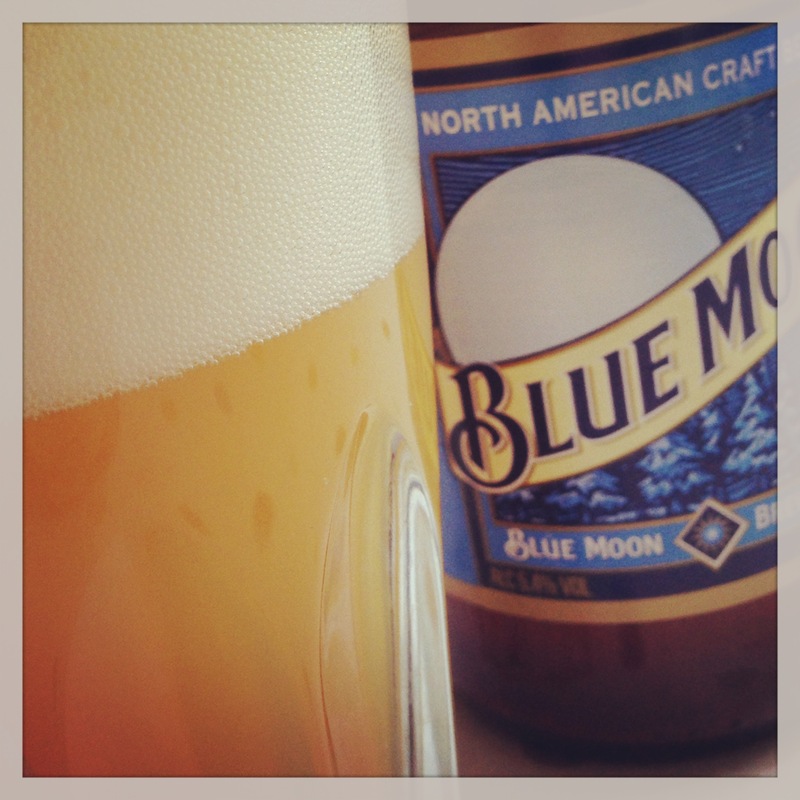 Blue Moon Belgian-White is widely available in the UK now; it is the U.S. largest selling ‘craft’ brand at well over a million barrels a year – it sounds staggering but that’s small fry compared with the size of the market. Unsurprisingly, many bemoan this beer too as a result; criticizing it for masquerading as a ‘craft beer’ when it’s brewed by a ‘big brewer’. But it’s just missing the point – this is the largest brand for good reason: it’s tasty and interesting. Unlike Hoegaarden, it’s a sweeter beer, brewed not with the addition of curaçao orange peel (a bitter, inedible orange) but Valencia orange. And oats in the grist give it that smooth, coating mouthfeel that make it a fulfilling drink. It’s recommended to be served with an orange garnish, which I shall politely refuse as it kills the head and deadens the beer’s natural aroma, but that’s not to say it isn’t a good match. My only criticism, the amount of yeast in the bottle is off putting – it’s a sludgy brown colour and very clumpy – whereas normally, I swirl the yeast into the beer, here I was careful to avoid doing that as it made the beer sludgy brown in colour too. Despite this, you get the feeling that with the resources of Molson Coors behind it, this boutique brand is really a sleeping giant. There’s home based competition though. Living in the Midlands, you don’t see Camden Town’s beers that regularly; so it was a pleasant surprise to find a bottle of Camden Wit up here where the air is thin. 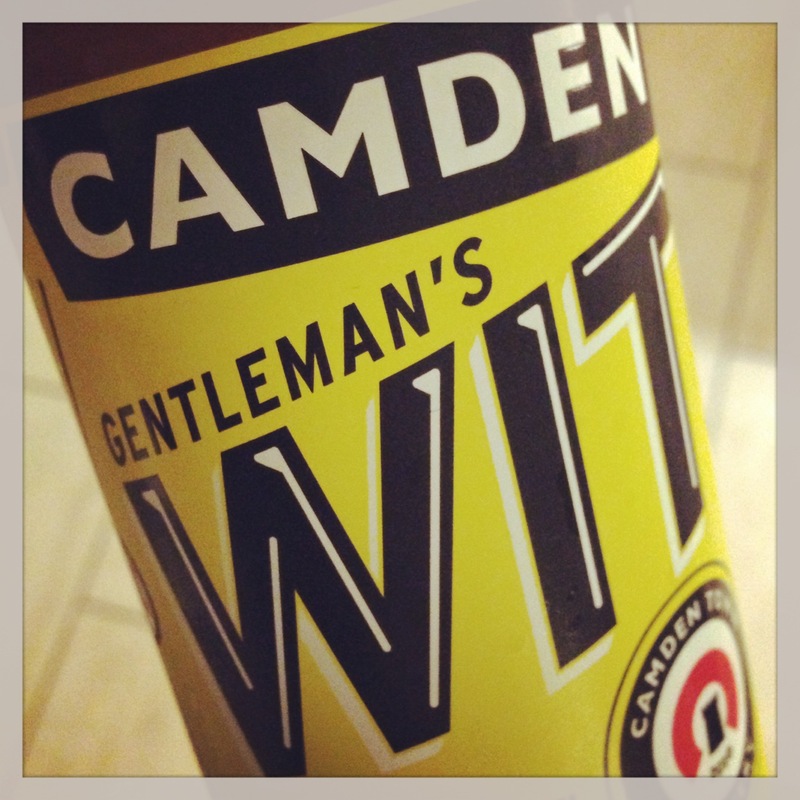 Camden is a brand savvy company, but they can clearly brew great beer. The Wit exemplifies this: it’s an enticing beer. Balanced and zesty with just the right touch of hop bitterness; the beer has a good ‘structure’ – forming and retaining a bright, white head with a nice texture and a lemon peel tang. There’s just a good enough slug of yeast in the bottle to give a snippy, lively carbonation and a zippy mouthfeel. Perhaps just a touch more alcoholic body is needed, but let’s not split hairs, it’s a grand beer nonetheless. It left me with the desire to take a trip underneath Camden’s arches to investigate more. And yet, and yet. Whenever I drink this style, I am taken back. To those gentle, rolling hills; to the verdant fields and narrow bricks. To a farmhouse brewery. 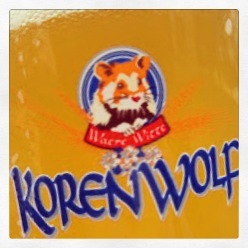 To Limburg: and to a hamster on the label. Enter your email address to follow Beer Tinted Spectacles and receive notifications of new posts by email.